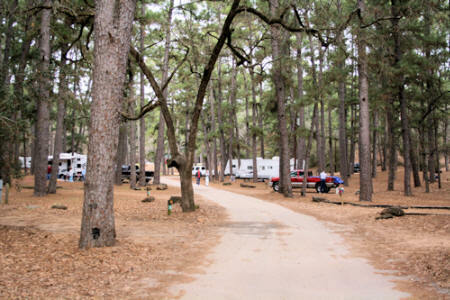 Located in a forest of lob lolly pines and hard woods, Bastrop State Park has a variety of camping options. 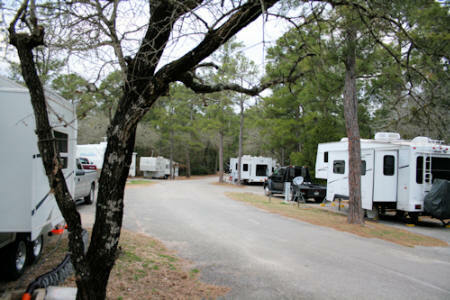 When I was there in February the Copperas Creek Camp ground was full of families with children. This camp ground is under a full umbrella for trees and everyone looked like they were having a great time. We were camped in the Piney Hill Camping Area. The trees are not as thick and WI-FI though weak is available and I didn't have any trouble hitting a satellite with my dish. The area around Bastrop is an island of pine trees a full 80 miles from the pine forest of east Texas. There is a great park road that goes to near by Buescher State Park. It is a roller coast road going through tunnels of trees and is a favorite of drivers and bicyclist. 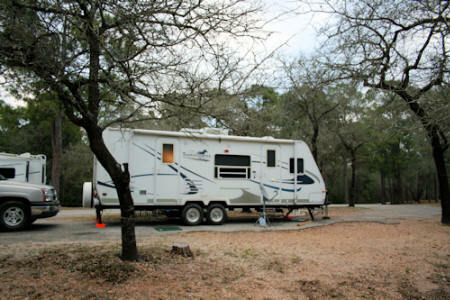 Buescher State Park also offers some great camp sites. Did I mention that Bastrop State Park also has a golf course? Also right outside the Park entrance is a great Texas burger joint, The Road House. The City of Bastrop is a great place for shopping, gawking and people watching. 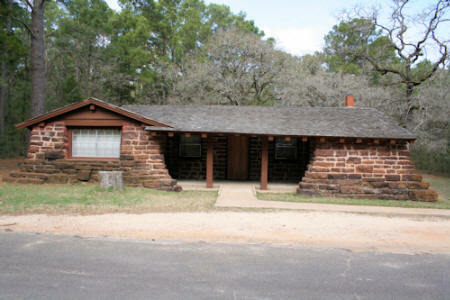 Bastrop State Park, a great place to spend a week or a weekend.